The automaker Mazda presented the revolutionary vehicles of its 2013 and 2014 line-ups. 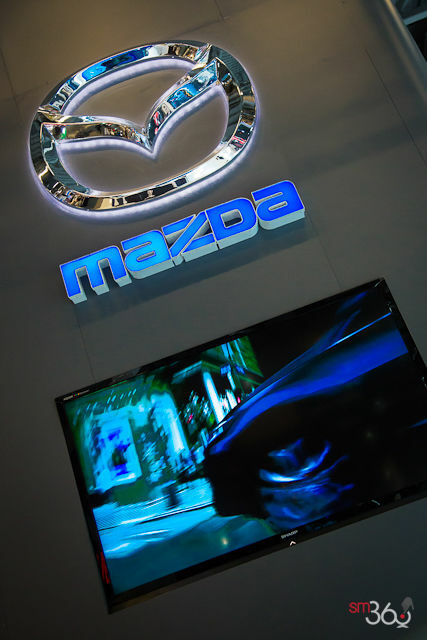 We were able to see, at the Montreal Auto Show, the all-new, completely redesigned, Mazda6 for the 2014 model year. Recently arrived at Kentville Mazda, this sedan "represents the new generation of Mazda vehicles", suggest the Mazda leaders. Designed in the "KODO" spirit, which means "Soul of Motion", the 2014 Mazda6 offers an inspired design and better comfort. With both power and manoeuvrability, this large Mazda sedan will meet the needs of modern families seeking the driving pleasure offered by Mazda. Mazda also put forward its new CX-9, redesigned in its new edition. The spacious Mazda CX-9 SUV offers an elegant and sophisticated style both inside and outside. Despite all of its interior space, the CX-9 has a manoeuvrability comparable to models half its size. Mazda offers a multitude of advanced technologies to enhance your family travels. Mazda took advantage of the event to announce an increase in the production of the Mazda CX-5, first vehicle equipped with the revolutionary full Skyactiv technology. In fact, the production of this SUV will increase from 200 000 to 240 000 units. The popularity of the Mazda CX-5 is partly due to its low fuel consumption that brings it to the top of the class, even taking into account hybrid models. Of course, Mazda also shown the Mazda3, a car that has a unique style representing the brand well. The Mazda3 offers three models to meet the needs of a large number of drivers. Mazda offers the Mazda3 4-door sedan for small families, the Mazda3 sport with its practical hatchback and the MazdaSpeed3, offering outstanding performances that enhance the Mazda driving pleasure. Look at our photographs taken on-site at the Montreal Auto Show and be charmed by the unique style of Mazda vehicles. Kentville Mazda also invites you to schedule a test drive of the models currently available at the dealership including the all-new 2014 Mazda6!